Netflix may have a handful of Marvel TV shows, but they want something to call their own. 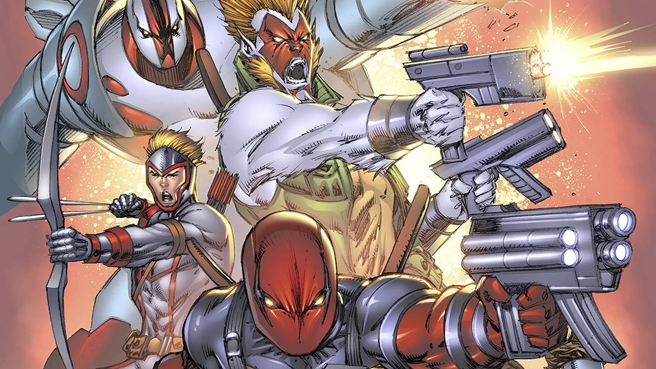 The streaming service has struck a deal with Rob Liefeld to bring his Extreme Universe of comic books into a cinematic universe. So if you were REALLY dying to see Brigade, Bloodstrike, and Bloodwulf (>sigh<) and Liefeld's other "imaginative" characters get their own movies then this is your day. Liefeld will be working with Akiva Goldsman who will be launching a writer's room to kickstart a series of feature films. If all of this sounds vaguely familiar it's because Liefeld and Goldsman struck a similar deal a year ago with another group, but that deal fell through. There have been many attempts to get Liefeld's characters onto the big screen over the years, and nothing has really taken off. Goldsman is still attached to bring Liefeld's popular (once) Avengelyne to the big screen, but that deal is with Paramount.